If your experience with Facebook ads revolves around clicking the “Boost Post” or “Get More Likes” buttons, this post is for you. If the only Facebook ad campaign you’ve created was through the self-serve ad tool, it’s time you start playing with the big boys (and girls). Stop doing what you’ve been doing. You’re wasting your time and throwing away money. 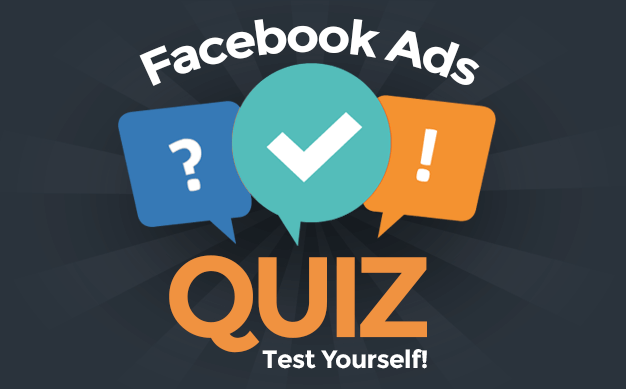 You are shielding yourself from the true power of Facebook advertising. You need to create all of your campaigns within Power Editor. Partner Categories are only available within Power Editor! The self-serve ad tool was created for the mainstream marketer. The mainstream marketer isn’t ready for more advanced tools and features. As a result, new features are first rolled out to Power Editor and the ads API (utilized by third party tools) before surfacing on the self-serve ad tool (if ever). You are too sophisticated for the self-serve ad tool. You want the most powerful features available. You are ready for Power Editor. That’s a ton of features! If you aren’t using Power Editor, you have no idea what you’re missing. Desktop News Feed only? Heck yes! When you click the “Boost Post” button or create a Facebook campaign within the self-serve ad tool, you have absolutely no control over where the ad appears. Any advertiser worth their salt knows that it’s important to split test ads. And a big part of split testing is placement. The success rate of ads is often drastically different depending on the placement. And the cost also differs accordingly. So what you should be doing is split testing your ads to determine which placements are most efficient, leading to the lowest cost per desired action. If you are using Power Editor, you can do this. Otherwise, no dice! If you click the “Boost Post” button, you have no control over your bid. It’s automatically Optimized CPM. In fact, you even have very limited options for budgets (you probably know these costs have gone up!). You could promote the same post through Power Editor and use Optimized CPM, CPM or CPC. You could set your bid for CPM and CPC. You could set a budget of whatever you want. That’s right, you have far more freedom to customize your bid — and determine exactly what it is you’re bidding on — with Power Editor. If you click that “Boost Post” button to promote a post, of course, you have minimal control over targeting. In fact, you can’t even target Fans-only now. 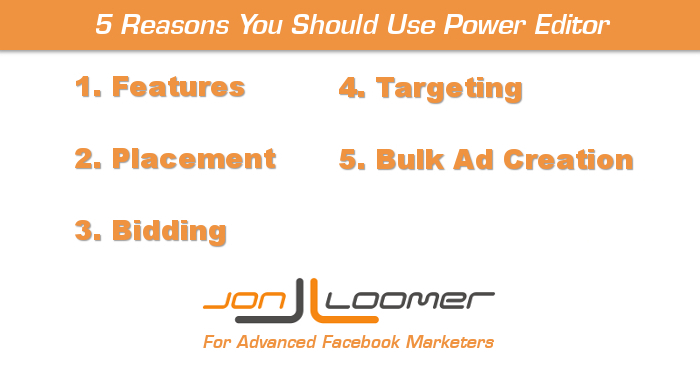 If you instead promote that post through Power Editor, you can focus your ad spend on a very specific audience. Saved Audiences save a lot of time! You can create a single ad within the self-serve ad tool without much problem. The options are limited, but you can get it done pretty quickly and painlessly. That said, you should be creating multiple campaigns. You should be creating up to dozens of ad variations. You probably know by now that this is a huge pain within that self-serve ad tool. Not so difficult within Power Editor. The main reason for this is that duplicating ads takes very little time. And you can use Saved Audiences to easily segment your targeting so that you don’t need to waste countless minutes picking countries, languages, interests and more. Are You Using Power Editor? It’s no secret that Power Editor is clunky and not particularly user friendly. 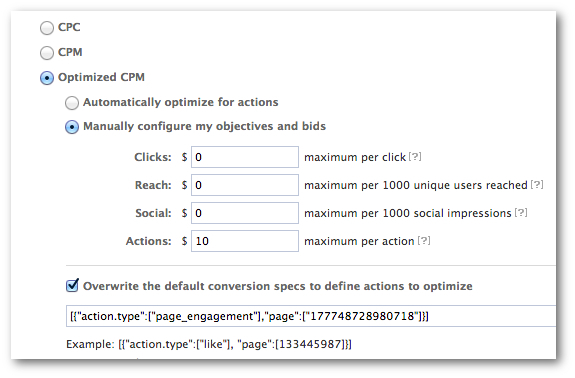 But if you’re serious about your Facebook advertising, this should be the only way you create ad campaigns (or with a third party tool that utilizes the ads API). Do you use Power Editor? What other benefits am I forgetting?